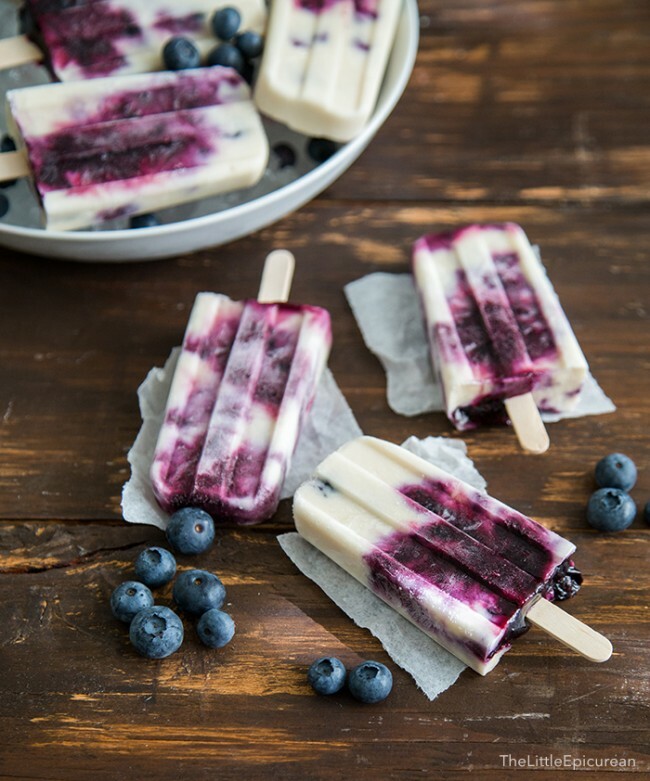 As temperatures heat up, we are reaching for this chilly treat: gorgeously swirled 'Blueberry Coconut Ice Pops' are a delicious creation from The Little Epicurean blog. These healthy pops are sugar-fee, and so easy to make. Click herer for the Full Recipe. Enjoy!